When you hear someone say, “There’s only ONE Myrtle Beach Real Estate” they’re not just referring to the name – they’re referring to the people who make this Real Estate Company one of the top general brokerage real estate firms in Myrtle Beach. Myrtle Beach Real Estate (MBRE) is a locally owned, family operated, non-franchise real estate company. We’re physically located in Surfside, SC but we are known to both Buyers and Sellers around the world as the premiere real estate resource for Myrtle Beach, Surfside Beach, Garden City Beach, Murrells Inlet, Pawley’s Island, Conway and Georgetown, South Carolina. Our team of 18 professionally trained and highly regarded REALTORS work together to make sure that your buying or selling experience is in good hands. The agents of MBRE regard each other and their clients and friends and family. Honesty, collaboration, trust, and laughter are the main ingredients of every transaction that takes place within our physical or virtual offices. Our agents have been trained above and beyond the call of traditional real estate schools. Some of the degrees and designations held by our team of Professionals include: Ph.D’s, M.B.A.’s, Bachelor Degrees, and real estate designations such as: Broker Associate, GRI, e-Pro, ABR and CCRE. What does this mean to you as a buyer or seller? 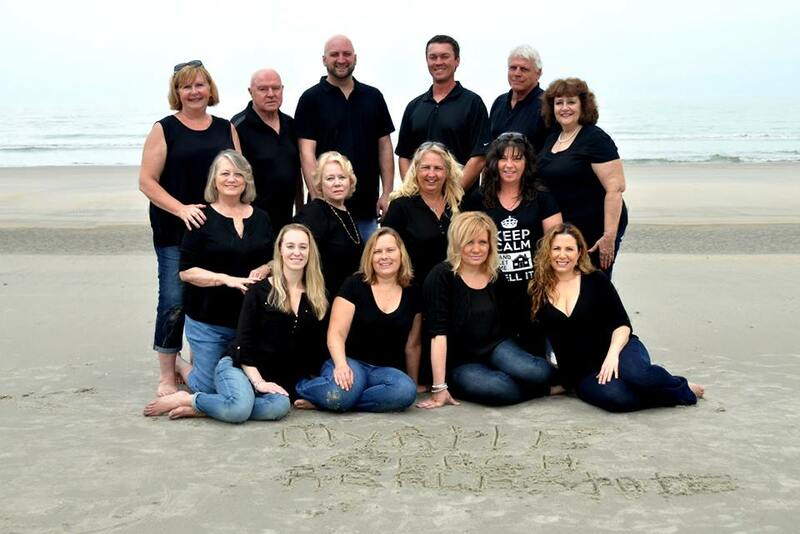 When you choose to work with the Pros at Myrtle Beach Real Estate, you’ve made a decision to go with the ONE and only company that represents Myrtle Beach in a way like no other. Our team is number ONE in professional training, but we’re also pretty great at beach living. You’ll find that your agent is either a: surfer, fisherman, boater, golfer, diver, artist, or all of the above. Check out our agent profiles to learn more. We live here, we know Myrtle Beach, and we are Myrtle Beach Real Estate – the ONE and only.